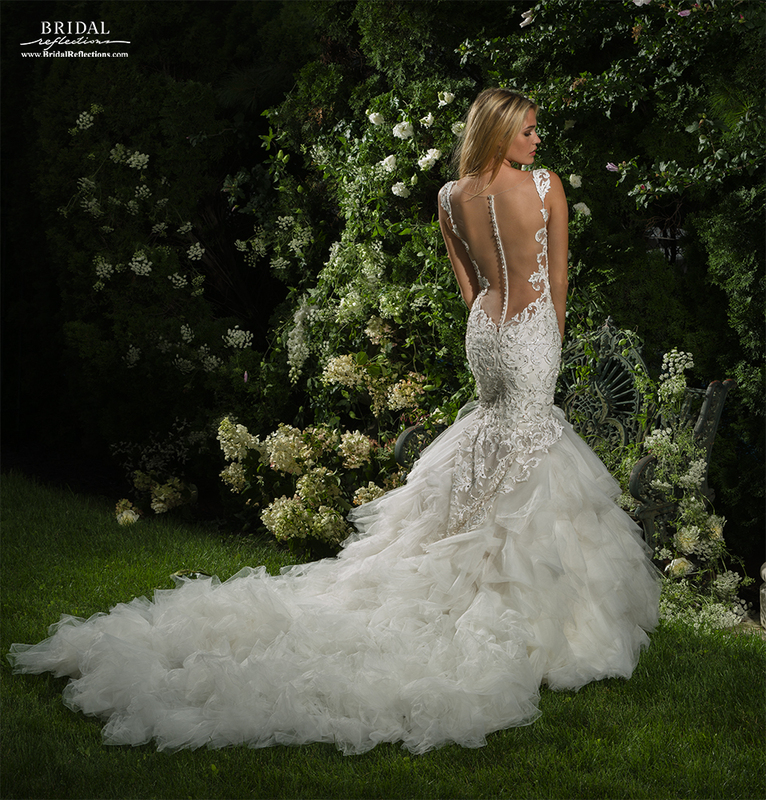 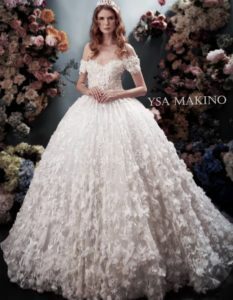 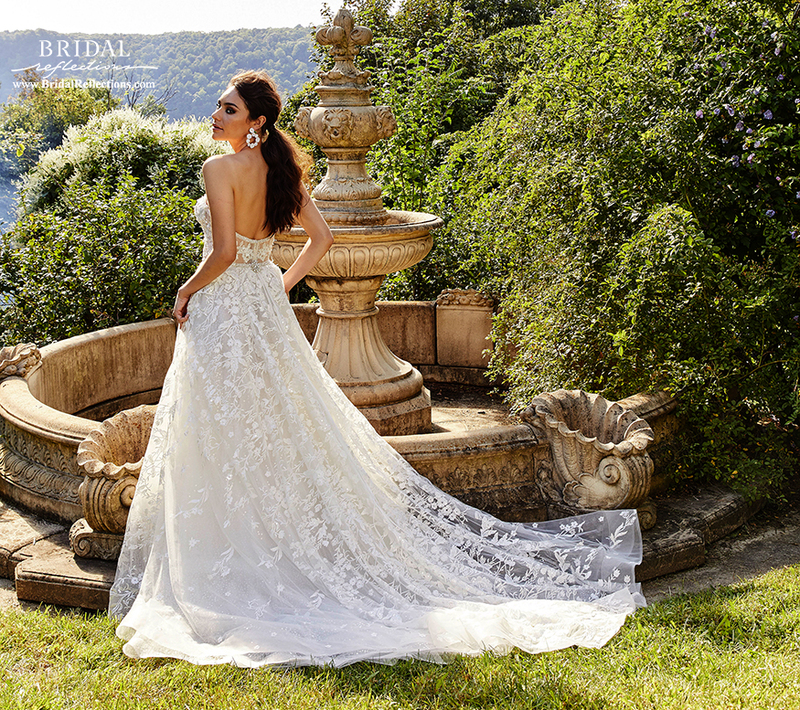 Exquisitely detailed wedding dresses by Eve Muscio of the most luxurious fabrics, embroidery, yards and yards of train. 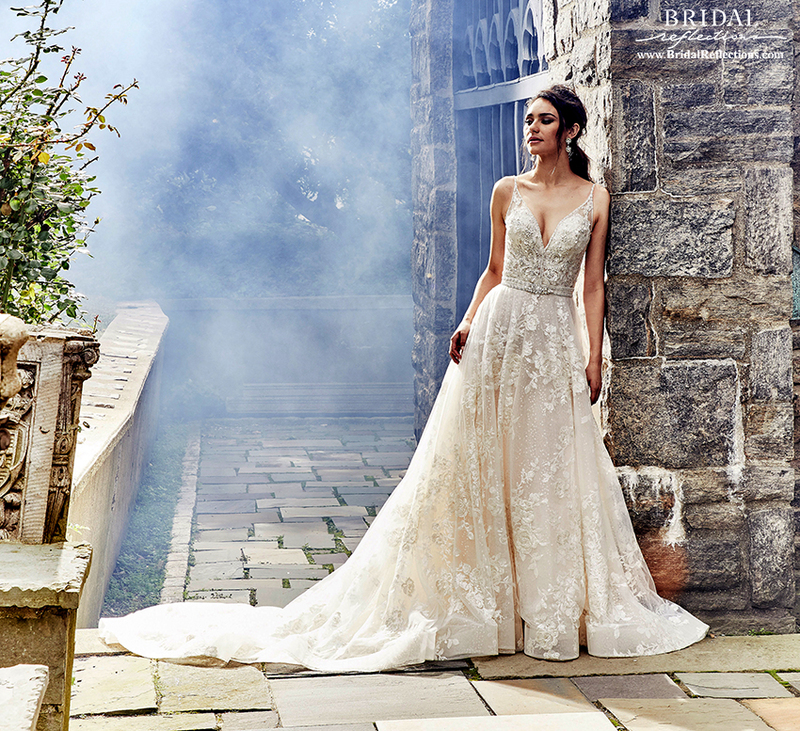 Eve of Milady bridal gowns seem fit for any royal wedding. 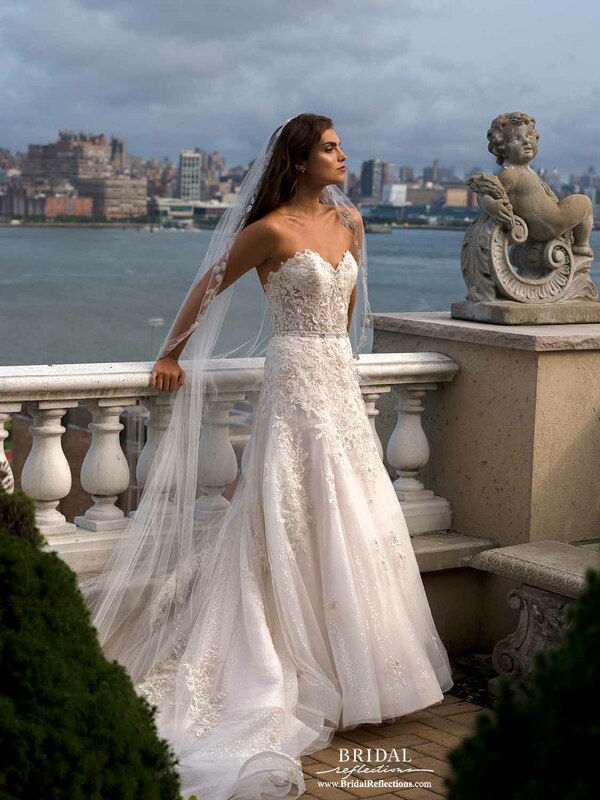 Best known for their lovely bridal ball gowns, Eve of Milady also creates perfect empire waist dresses, trumpet or fluted skirts, chapel and cathedral train gowns to remember. 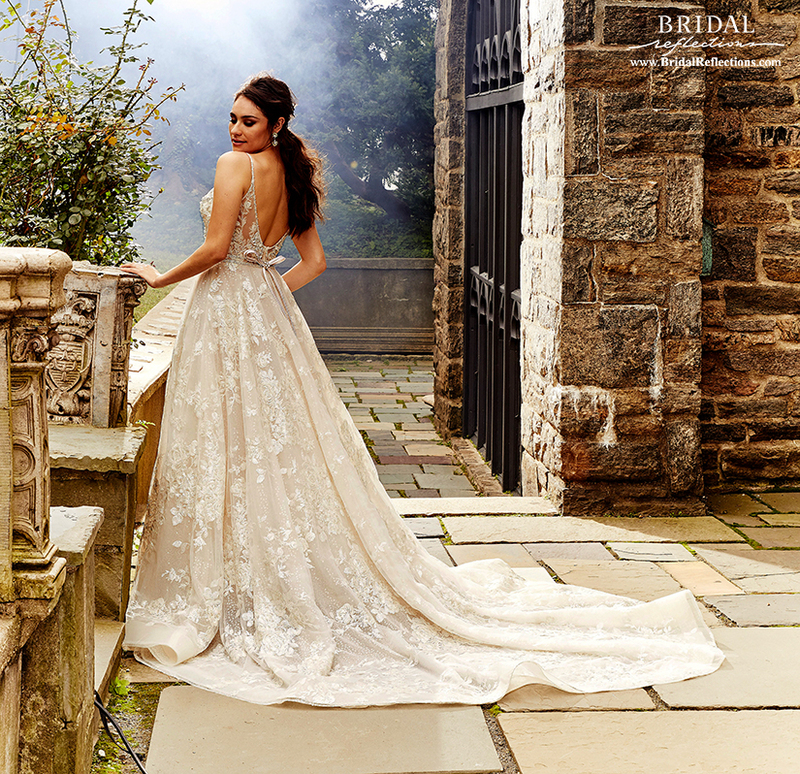 Eve of Milady bridal gowns are famous for their bodices and signature drop waist with dip at the small of the back, together creating a perfectly fitted silhouette. 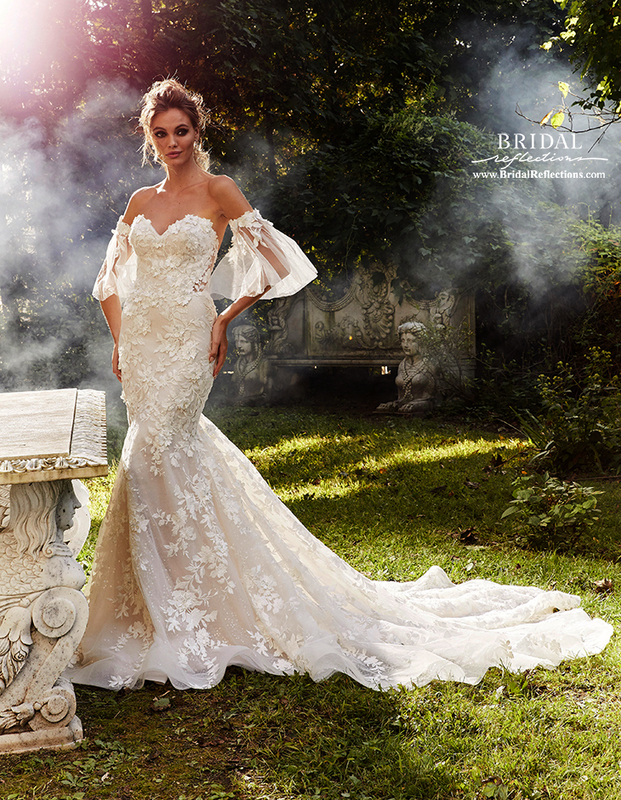 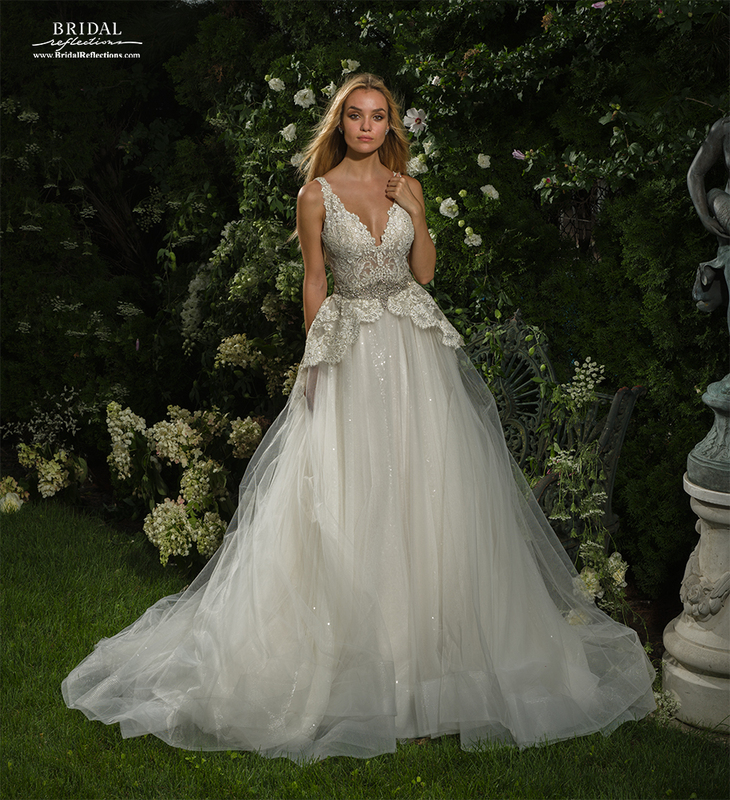 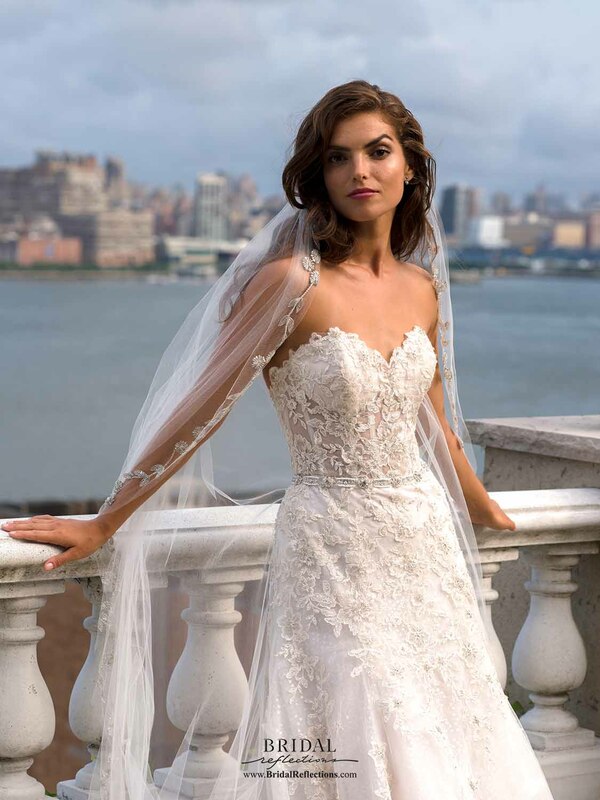 Tulle and lace, hand done beading, sparkling crystals, and trademark scroll patterns make Eve of Milady one of the most luxurious of designer wedding dresses.